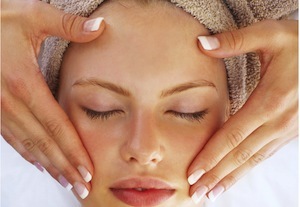 Facials hydrate your skin, providing a glowing complexion, fewer breakouts and firmer texture. Custom facials are designed to address a variety of needs ranging from premature aging and environmental damage to acne flare-ups and a dull or patchy complexion. We will tailor your facial to treat your specific skin type and condition. Treatments include deep cleaning, extractions, exfoliations and masks. We’ve developed a clinical acne facial designed to treat excess oil and superficial blemishes that many teens suffer from during puberty. Best results occur when facials are done on a weekly or bi-weekly basis. Your choice of 6 custom treatments for the price of 5. Choose from microdermabrasion, dermaplane, custom peel and custom facial. Mix and match as you desire. *Add microdermabrasion or dermaplane treatment to any custom or teen facial for only $50. This revolutionary “red carpet” skin care treatment simultaneously infuses moisture, vitamins and anti-oxidants into the skin through hyperbaric oxygen technology, resulting in luminous hydration and visible, age-defying results. Includes 3 oxygen treatments and a custom enzyme. *Add microdermabrasion or dermaplane treatment to any oxygen treatment for only $50. Click Here to see a complete list of our Services.